U.S. animal shelters are now killing fewer cats and dogs than at any time in the past 60 years––nearly 300,000 fewer in the most recent fiscal year than just one year earlier, and just 8.6 per 1,000 Americans, the lowest ratio on record––but is the recent dramatic progress really saving animal lives? Are fewer animals being born, for whom there are no adoptive homes? Are more homes opening to adopted animals? Or are shelters simply relegating killing of homeless animals to others, including nuisance wildlife trappers and hoarders operating under the guise of “rescue”? Can the recent drop in shelter killing be responsibly sustained? Was it responsibly achieved in the first place? Answering all of these questions will take time and more data. What we do know, from the survey data that follows, is that U.S. animal shelter killing is down to about 2.7 million per year, including about 1.4 million cats (53%) and 1.3 million dogs (47%). This represents a 50% drop in shelter killing in 18 years. The accomplishment warrants celebration, but with judicious restraint until how it occurred and the consequences of achieving it are better understood––especially since the drop of 300,000 may have come more as result of changes in shelter operating policies than through programs that actually prevent cat and dog births, reduce the numbers of cats and dogs at large, protect the health and safety of humans and other animals, and reduce the net amount of animal suffering. 77,250 fewer cats killed––but why? We know that U.S. animal shelters in the most recent fiscal year appear to have killed about 77,250 fewer cats than in the year before, but we do not know whether fewer homeless cats were actually killed. This is because hard figures do not exist for the numbers of feral cats killed by nuisance wildlife trappers. Most states do not require nuisance wildlife trappers to report the numbers of cats they catch and kill. What we do know is that the advent of neuter/return feral cat control more than 20 years ago coincided with steep drops in shelter admissions and killing of cats over the next ten years. Then the numbers leveled off for about a decade, before the recent emergence of a trend toward shelters not only encouraging and cooperating with neuter/return programs, but also refusing to accept feral cats and/or participating in “shelter/return” programs. In some instances “shelter/return” programs relocate feral cats to new habitat, usually via intermediary volunteer “cat colony caretakers,” whose activity is often only lightly supervised and documented, if monitored at all. The limited available aggregate data on the fast-growing nuisance wildlife control industry indicates that about 6,000 private nuisance wildlife contractors are currently doing more $1.2 billion a year worth of business. Add to that $72 million per year billed by USDA Wildlife Services, which works mainly for other public agencies and also kills feral cats. Altogether, Americans now spend almost as much to kill “nuisance wildlife” as the estimated $2.5 billion spent by animal control agencies and humane societies to control the dog and cat population. USDA Wildlife Services killed 790 feral cats in 2013. If nuisance wildlife trappers killed as many cats proportionate to revenue, they killed about 131,700. But USDA Wildlife Services works primarily on public lands, much of it far from feral cat habitat. Nuisance wildlife trappers work mostly for private property owners, including the management for condominiums and gated communities. In all likelihood, nuisance wildlife trappers killed three or four times as many cats as USDA Wildlife Services, perhaps half a million or more. 187,230 fewer pit bulls killed? U.S. animal shelters killed about 187,230 fewer dogs in the most recently completed fiscal year than the year before––and the entire reduction appears to have been in reduced killing of pit bulls, as the toll among acknowledged pit bulls fell from 910,000 to just 724,000, the lowest number in more than 15 years. But this apparent gain may be illusory. A recent study done at the Richmond SPCA in Richmond, Virginia, directed by Emily Weiss of the ASPCA, found that shelter workers can accurately identify a pit bull or close pit mix 96% of the time. A second study, published in the March 27, 2014 edition of the Journal of Applied Animal Welfare Science and summarized in the September 10, 2014 edition of Science Daily, found that 41% of shelter workers are willing to lie about pit bull breed identification to try to rehome more pit bulls. In short, are shelters really killing fewer pit bulls, or just not acknowledging that about 20% of the dogs they kill are pit bulls? Also evident is that shelter screening of pit bulls and other dangerous dogs for adoption suitability has markedly slipped. There were only two fatalities involving U.S. shelter dogs from 1858 through 1999, both involving wolf hybrids, one in 1988 and one in 1989. There were three fatalities involving shelter dogs from 2000 through 2009, involving a pit bull, a Doberman, and a Presa Canario. There have been at least 35 fatalities involving shelter dogs from 2010 to present, involving 24 pit bulls, seven bull mastiffs, two Rottweilers, a Lab who may have been part pit bull, and a husky. Also of note, there were 32 disfiguring maulings by shelter dogs from 1859 through 2009, 19 of them involving pit bulls. From 2010 to present, there have been at least 123 disfiguring mailings by shelter dogs, 81 of them involving pit bulls. In 2014 alone, 34 shelter dogs have killed or disfigured someone; 27 were pit bulls. For every human killed, hundreds of animals have been–about 6,800 animals killed by shelter dogs in 2013 alone. The attack data goes a long way toward explaining the mid-2013 discovery by the Best Friends Animal Society that younger people no longer regard shelters as the best places to find a dog. As the numbers of animals killed in shelters drop, the quality of life of the animals “saved” requires much closer attention. The tables below shed further light on shelter killing, region by region. There are eight regional tables in all: Northeast, Mid-Atlantic, South Atlantic, Gulf Coast, Appalachia, Midwest, Rockies/Interior West, and Pacific. Together, these tables constitute my 22nd annual review of animal shelter killing. Each year, with the help of many volunteers who submit the data from their communities, I assemble a demographically balanced mosaic of shelter exit data from animal control and open admission shelters. The exit data is compiled from the annual reports of every major open admission and animal control shelter serving each listed community, using only data from one or more of the three most recently completed fiscal years. The estimated totals for the U.S. as a whole are projected each year from the data from jurisdictions including at least half of the total human population of the U.S. This year the regional tables include, for comparative purposes, the numbers from the first year in which each jurisdiction was included in previous compilations. In almost every instance, the actual peak of shelter killing in the jurisdiction was reached many years and sometimes decades earlier. When each jurisdiction was added to my tables was often just a matter of when someone first sent me the numbers; but all of the first year data listed is from what might be termed the “No Kill Era,” following the first No Kill Conference in 1995, a milestone in establishing no-kill animal control as a national ambition. From left to right, each table shows first the “Benchmark” historical data, from whatever the year for each jurisdiction, and then the current or most recently available data. The “Animals” columns are the combined totals of dogs and cats killed in the shelters serving the jurisdiction. The “Ratio” is the combined number of dogs and cats killed per 1,000 human residents of the jurisdiction. The “Humans” column is the current human population of the jurisdiction, stated in thousands. Please note that the current human population of any given jurisdiction may vary considerably from what it was when it was first included in my tables. This is because of human population growth, mergers and divisions of cities and counties, and redefinitions of metropolitan areas. The number of real significance is the “Ratio,” in other words; in instances where the human populations of jurisdictions have significantly changed, comparison of only the actual numbers of animals killed may be misleading. State totals appear in bold type. The regional totals appearing in bold at the bottom of each table are not tallies of the data used to produce them, listed in each table, but are rather estimates proportionately weighted to reflect demography. The percentage figure in parenthesis at the lower left of each table is the percentage of the human population encompassed within the jurisdictions from which the totals were derived. There are significant gaps in the breakdown of shelter killing data between cats and dogs, especially in the Appalachia and Gulf Coast regions. This reflects the format in which the data became available to me. In several other jurisdictions, in absence of current cat and dog totals, I have used cat and dog totals from earlier years than those covered by the most recent available sum of killing. Thus the totals of cats and dogs may not match the number in the “Animals” column. Finally, readers familiar with current shelter jargon will note no reference to so-called “live release” or “save” rates. These are simply inversions of ”euthanasia rate,” the oldest and most misleading statistic ever devised to measure animal shelter performance. If a jurisdiction is doing an effective job of preventing the births of cats and dogs for whom there are no good homes, of keeping pets in homes, and of protecting community health and safety, the cumulative “live release” rate will decline, as ever fewer healthy, adoptable animals enter shelters, and admissions dwindle to mostly just those animals who are so ill, injured, or dangerous that euthanasia is the only humane response. At that point, the ratio of shelter killing per 1,000 people will usually be below 2.0, a target that many jurisdictions have already reached. For those jurisdictions, an abnormally high “live release” rate may signify mainly that they still have a long way to go in preventing surplus cat and dog births, abandonments, the growth of feral cat populations, and dog attacks. The Northeast region, between harsh winters that suppress outdoor cat and dog populations and being the first region with strong s/n support services, has killed fewer shelter animals per 1,000 humans for as long as the numbers have been available. Glad you brought this up. I was just thinking about sending you enough data that would take you weeks to get thru for you to investigate how everyone who wants to hear “We’ve gone no-kill” this is actually a huge con. If you would like to see what is really going on I would be happy to show you where you can find the evidence to prove what the No-Kill Movement is really about. My foster based dog rescue LnF Dog Rescue in DE will be 11 years old 2-24-15. Many of us who are life long genuine animal lovers/rescuer/spay/neuter advocates have been forced to stand by & have a front row seat to this horror show due to the political power that has been wielded here by Senator Blevins who supports the No-Kill Movement as practiced here in DE. I’m sure you’ll google my name & rescue. You’ll see that I’m an animal welfare/spay-neuter advocate in my soul. I was born this way. I would love for there to be another venue where people can read what is REALLY going on out there but we warned – this creates a war that makes the pro-con of Pitties a day in the park. While we practice “No-Birth = No-Kill” If they are not born we don’t have to kill them. The NKM *leaders* actually put in print that “Overpopulation is a Myth” This is where the con comes in. 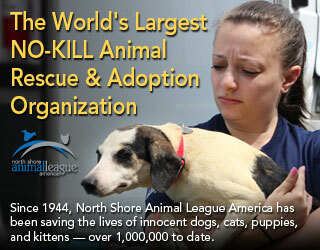 How can you profess to be no-kill if S/N is your top priority? Well, you can’t which is common sense but we have a huge shortage of that with these people who follow this movement like children who still believe in Santa.. They lay no blame for the millions of animals who come thru the doors & the 2.7 million that are still killed annually to the owners who allow their animals to breed but rather on the open-access shelters. They claim there are plenty of homes for these unwanted animals. Really? How did one SPCA that handles the animal control for the entire state of DE have 20,000 come thru their doors in 2012? One shelter – one tiny state — where are you going to put them? 1. Many States have laws requiring data submission. Have you been able to get any data from the States?? For while some of the cities many be making progress, the rural areas are still killing in overwhelming numbers. 2. 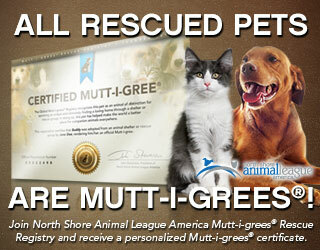 Are we at an acceptance kill level for the national orgs and large shelters? Where/what would they do/transform into should shelter killing get to a point where the mission would change from the tear jerking and glitzy ads. I know that the grassroots orgs where the intimate and personal involvement and heavy lifting is done would be happy to go out of business because the killing has stopped. How about the big boys? Not so sure…. And is that really why the myth of mandatory s/n not working is being promulgated. Where whole-state counts are available (indicated in bold), those counts have mostly been obtained directly from the respective state agencies. Most states, however, still have no shelter data tracking systems. Concerning the missions of national organizations, they have no shortage of issues to address, and most have done relatively little on cat and dog issues, but images of cats and dogs are among their most effective fundraisers. Large shelters also have no shortage of work ahead of them, even if surplus cat and dog births could be completely prevented. Merely housing the numbers of cats and dogs involved in cruelty and neglect cases while the prosecutions are before the courts taxes the resources of many. Finally, so-called “mandatory” s/n ordinances in the U.S. are actually just differential licensing schemes, which have had very little success in the past 30 years, since s/n compliance came to far exceed licensing compliance. Because the right to breed animals was clearly established in law at the time that the U.S. constitution was written, mandating sterilization without providing an option to breed has repeatedly been found by the courts to be a violation of the 9th Amendment to the U.S. constitution. Very insightful. Yes, questions abound, many questions. Thank you for the article reminding us to look behind the numbers. In our fast-paced society it is too easy to throw out numbers (or even make them up) and to forget the story behind them. The issues of rescue hoarders and “wildlife nuisance” companies getting their hands on cats keeps me awake at night – because it is happening. Thanks for putting it out there. Let’s do something about it. Would you consider doing a story on the shelters that have legitimately reduced intakes by starting and running very effective s/n outreach programs/clinics? I know there are many. It would be great to see how they went about it. We could provide examples, or perhaps you could do a call for shelters and rescue programs that built these programs and clinics – and have them tell the story, ‘vetted’ of course! We need positive models to counter the shell game that is currently going on in a growing number of shelters. And it’s not that hard to ‘do it right.’ we need to mobilize the people who are in the trenches, and who are willing to make the effort to stop unplanned litters. that is 50% of the problem right there. What’s Driving Trends in LA City Shelters? Mr. Clifton provides us with a very timely and important commentary, particularly in encouraging readers to question claims that are being made about the cause of dramatic drops in euthanasia rate. It’s not uncommon for organizations who have launched a new no-kill program or ramped up a media campaign to cite their own activities as the driving force behind improved trends. Whether the result of naive statistical understandings, unchecked misinformation, calculated spin or outright fraud – making false claims of cause and effect are profoundly damaging to understanding and sustaining real change. “What’s Driving Trends in LA City Shelters” highlights a pervasive problem in the animal welfare sector: Mistaking cause for correlation. This happens when trends change concurrent with a new effort and the effort is credited without statistical proof. This is often the result of leaving out OTHER factors that may be bigger influences. In Los Angeles, for example, recent reports to City officials and the public attribute dramatic drops in euthanasia to recently launched programs. Specifically, credit is given to LA Animal Services’ (LAAS) programs, and its contractor, Best Friends, who operates a newly opened City shelter as a private adoption-only facility. These activities all fall under what is called No-Kill LA (NKLA) – a Best Friends’ program launched in 2012 upon being awarded the contract by LAAS.. Dramatic drops, however, are NOT due to activities under the NKLA umbrella. The numbers show that adoptions in shelters are down, transfers (“pulls”) by New Hope partners have changed little, and transfers to the shelter operated by Best Friends’ are leveling off since the initiative launched in 2012. Cause is inaccurately being attributed to NKLA. How do we know this? What’s being left out of the equation is the role of shelter intake. A recent analysis of shelter data by an independent group of citizens, with the help of UCLA statisticians, has shown that dramatic drops in intake have been conclusively shown to be driving parallel drops in euthanasia. NOT activities under the NKLA umbrella. These activities may SUPPORT the trends, but the NKLA initiative can only be considered correlated by virtue of being concurrent with dramatic drops in intake – which can’t be linked conclusively to NKLA activities. Why is uncovering this pervasive problem in reporting important? Because of the potential to propagate false models – in this case, promoting the NKLA model as the solution without recognizing the driving force that HAS to be there for the model to work: Dramatically lower intake. Are there any other examples out there, where a municipality or organization is crediting their activities without taking other factors into account? Let’s hear about this – so we can continue to advance how data is used to drive change. Some of the comments I have seen on the social networks of regional shelters have been shameful. I have seen these comments on both the modern, active shelters that make pet comfort a priority, and the crowded, outdated ones that need serious upgrades. People will go on these pages and say things such as, “I’ll never adopt from you, you kill pets, I’ll adopt from XYZ because they are no kill.” Even if XYZ handles only half as many animals as the regular shelter, and has no community outreach to spay/neuter. Even some of the no-kills that do a good job around here, I feel are senselessly divisive. For example, one group posted a clarion call for shelters everywhere to not euthanize any animals for one day. Um, the animals are still going to be there the next day. Why not start a movement to call on every vet to offer free spay/neuter for one day. That’s going to see a lot more results. This same group posts other inflammatory things about regular shelters, and it is totally unnecessary. Without the big shelters handling most of the animal intake, the little rescues wouldn’t be able to keep up. Thank you for this article. As an advocate for cats, I find it useful, thought-provoking and inspiring — inspiring, because we must implement humane education in our education system from first entry onwards, and we must provision no-and-low-cost spay/neuter programs, mobile spay/neuter and basic innoculation services, and pet food banks nationwide. These measures are proven effective in reducing loss of life and improving quality of life. No-kill pressure has probably caused some shelters to try harder to get animals adopted rather than kill them at such staggering rates, I worry, though, that in the effort to reduce the number of animals killed, screening for appropriate adopters may be less stringent. For example, home checks of prospective adopters are no longer being conducted by some of the shelters in my area (which is relatively affluent and sophisticated). Animals should not be going from the proverbial frying pan into the fire. I hope you will read this and pass on this information. One reason there are less animals being euthanized is that many shelters in large cities, as well as well funded ones, even in small towns, have taken the word of Nathan J. Winograd, author of Irrconcilabe Differences, and have become “Open Door Shelters,” where they say they will turn no adoptable animal brought to them away. The door is open to all. Then because they have the support from donors to allow them to place these animals with, almost, anybody who will take one for a very low to no adoption fee. That means the person gets an animal, with all Vet work, microchip, a month of free pet insurance(with a VERY high deductible) and some other perks. 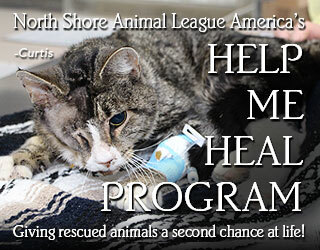 This may be reducing the number of animals being euthanized but is this good for the animal? First: this makes getting a pet easy and without any cost. Many of these adoptions are made on impulse, the animal is cute, it “Loves” them…and they are made to believe they are saving its life (Maybe so) However at the time they saw this animal they weren’t looking for a pet. Nor where they told anything about the cost of keeping this animal during the 15 to 20 years it could live. That shelter is playing a “Numbers Game” They want to place more pets than the shelter down the road and make it a point in their news letter or brochure asking for more money from donors. The do it because they can and I don’t think they think about the welfare on the animal theyhave put in the hands of a stranger, just to put another number up on the score board. This may be a solution in the short run and reduce killing animals brought to them but there will come a time when everybody has as many pets as they want and there will be nobody who will want another, even if it is FREE. P.T Barnum said: “There is a sucker born every minute” But these suckers came to the show, lost their money, and home. They did not make a commitment to care for an animal that will keep on costing them money for as long as it lives. Low cost and free adoptions are wrong. If a person can’t afford the cost to get a cat or dog to a vet for all the things it needs, they can’t afford to give that animal a good life. The only way to stop killing animals is spay and neuter. If these wealthy shelters would spend money on this, it would be money well spent. Unless we stop allowing more animals to be born than there are homes for them, we will have to go on killing. Pets that die of disease in cages or kill each other in fights (very common because of the pit bulls) are not counted, and too many of these shelters let that happen so their euthanasia numbers look better. . Dogs and cats given to hoarders to kill are not counted. Pets that are refused admission and die on the streets are not counted. As for pit bulls, it is more common than not these days to completely mislabel pit bulls as other breeds. Until there is breeder regulation and an increase in spaying and neutering, it will only get worse. Not one shelter that Winograd ever claimed was open door was in fact ever open door. NOT ONE. The Tompkins County NY Shelter, which was the only shelter he directed, was NOT open door, even though he stiill claims it was. Pets were put on waiting lists with required fees that many people couldn’t afford. Some people were told the shelter couldn’t take their pet at all. Those pets were just dumped elsewhere. That continued after he left. In fact, the largest criticism of Winograd and his claims were that the open door slammed shut and the pets had to suffer. I can also tell you first hand that many of these small, private No Kill individuals, groups and organizations that are “pulling” pets from animal control shelters are indeed killing some of these pets, or letting them die, and they don’t tell anyone. There is no record keeping and no reporting. They are maintaining an illusion to keep contributions coming in. It’s dishonest, but they do it. One of them who has routinely done this through her shelter over many years has the nerve of attacking open door shelters in interviews and calling them killers. There needs to be required record keeping and supervision of all rescue groups, no matter how small, and all shelters, as well as breeders. How many euthanasias happen off of the record? I interviewed a former “no-kill” shelter worker at length and she told me that her coworkers would “adopt” dangerous/aggressive dogs (fill out paperwork and take the dogs into their private custody) and then have those dogs euthanized so that their deaths happened off of the record and weren’t included in the shelter’s save rates. This was a standard practice at this shelter and who knows how many others. The lack of transparency is not only troubling, but counterproductive. Without accurate data, organizations have a hard time assessing their needs and justifying reasons for increased funding. Organizations can’t ask for help with problems unless they admit there’s a problem. Hidden problems go uncorrected. In my experience and long observation, shelter killing occurred “off the record” before the advent of pentobarbital primarily because of the widespread practice of gassing or decompressing whole litters of puppies and kittens with their mothers, and then counting the number of times the gas or decompression chamber ran to get the animal count. Since the federal Drug Enforcement Agency closely tracks pentobarbital use, significantly miscounting the numbers of animals killed by that method is relatively difficult. Meanwhile, since animal control agencies and humane societies holding animal control contracts are usually paid more-or-less relative to the numbers of animals they handle, they tend to have greater incentive to over-count intake than to under-count it, and since fees are normally collected for adoptions and reclaims of animals, which must be accounted for, there is accountability for the disposal of animals. The most frequently exposed form of corruption in accounting for animals over the past two decades has involved employees who collected adoption or reclaim fees in cash, pocketed the money, and mis-reported the animals as having been stolen, died in their cages, or otherwise lost from custody. Good article, good news. I’m very glad you’re keeping up with the statistics and have the courage to print them. 1- One reason cat euthanasias have declined is because, and this is a fact, at least some shelters restrict the number of cats they admit. Also at least one shelter adopted the policy of refusing to pick up cats. Both would naturally reflect a reduction. 2- When I pointed out to Nathan Winograd several years ago, and again this morning on his Facebook page, that those who insist dog cat overpopulation is a “Myth” include the kennel clubs, breeders, and him he wasn’t pleased. My comments were removed from his fb page and it looks like I can no longer join in. My first time and I am already banned. 3-When we were fighting to hold onto our spay neuter ordinance, which was not mandatory, in our little rural community Nathan Winograd allowed his name to be used against our efforts to end euthanasia. He instead aligned himself with Protect the Harvest, a national group which opposes all animal protection legislation. I hold Nathan Winograd and anyone who believes dog cat overpopulation is a “Myth” directly responsible for the abandonment, neglect, and euthanasia of countless dogs cats kittens and pup pie. That’s very interesting–and I think it needs to be more widely known among the scores of animal advocates who still embrace Winograd as “one of us.” Do you by chance, have any links that could direct me to more information about this?